Thirteen institutions from nine countries launched a European network built around a historical period that is emblematic for Europe's formative decades: the Early Middle Ages. It is during this moment in history that the idea of Europe as we know it today first appeared. The countries that signed the Treaty of Rome in 1957 and thus founded the European Economic Community are all part of the historical territory of "Francia Media", a political construction that existed between 843-1033 AD in the central part of Medieval Europe and which considerably influenced the neighboring territories. The project "Cradles of European Culture" aims to unveil this less-known period of time and show its unsuspected ties to our contemporary society. 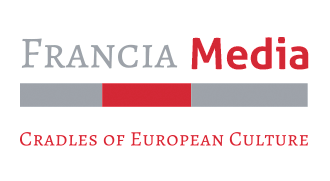 It will do so by bringing into discussion topics that are common to both the Early Medieval and contemporary public life and by shading a new light on a selected number of heritage sites that played an important role during the "Francia Media" period. Ultimately, this scientific endeavor will show that the European dream has far deeper roots than one might imagine.